There can be a bit of a learning curve to it and I am still learning every single day. But once you get the courage to finally start your blog, you can actually do it by following just these 5 steps! This step can be very simple or a bit more challenging, depending on your situation. Make sure you choose a niche that you absolutely love and can easily write about. Choose a topic that you can focus on and build an entire blog around. It is important to find something you love because at the end of the day, what you write on your blog has to make you happy. If you’re stuck writing about a topic you are not passionate about, your blog will not succeed. Some people say to have a very specific niche and others say you don’t need a very narrow niche. It’s up to you about what you’re passionate writing about. I love many things and did not want to limit myself to what I could write, but then many months later I ended up rebranding to a more specific focus. It depends on you and your interests! You can also choose a broad topic and narrow down in the future until you find what you absolutely love. There is no right or wrong for this step. You can have multiple things you are interested in, but if you can tie them all into one clear, related focus, then that’s all that matters. It’s about what you’re happy writing about and what your readers like reading about. There are several platforms you can blog on such as WordPress, Blogger, Squarespace, etc. It’s important to do research to find the best platform that works for you. The things to look for when deciding on a platform are whether or not it is easy to use and flexible. I personally use WordPress.org. It is the most popular platform out there. I recommend it because I’ve never had any issues with it and it’s so easy to use. WordPress is my favorite platform to use for blogging because it’s easy to navigate and almost everyone uses it so it’s easy to find tutorials on it. I highly recommend it because it is so simple to get started with it. I don’t have experience with the other platforms I mentioned, but it’s best to shop around and read reviews on each one because what’s best for me might not always be best for someone else. It depends on many different factors like if you just want to blog or if you also want to open up an e-commerce shop, etc. The next step is to pick a web host for your blog. There’s also a huge variety of hosts you can look at out there — I chose Siteground for my blog because I have heard many recommendations for it. I use Siteground because they have a super sweet deal of $3.95 per month that includes 24/7 support, email accounts, free site transfer, and more! I did my research on all the other hosts, compared their prices, and read multiple reviews until I finally settled on Siteground. Picking the best host for your blog is different for everyone because it depends on your needs and how much you are willing to spend. Remember, more expensive plans are not always better for your blog so make sure to do your research thoroughly. Siteground lets you pay for 1, 2, or 3 years of hosting. It depends on your budget and how long you want to commit to it. I chose the longest amount of time for hosting to maximize my savings, but you don’t have to do that. The only downside I’ve noticed about hosting, in general, is that I haven’t found many places that let you pay by the month. They have several plans to pick from depending on your needs. If you are just starting out, you don’t need the biggest and baddest plan just yet. I chose the StartUp and it’s been more than enough for me. If you’re a new blogger, you are better off with the StartUp plan because of the low cost and all the great features it comes with. If your blog explodes and gets more than 10,000 unique visits monthly, you can simply upgrade your plan in the future. When choosing a host, you will be shown some extras that they offer that you can add to your plan. One service add-on I highly recommend is the Domain Privacy Protection service because it protects all of your personal information that is registered to the domain from being on the Internet. To me, this is a no-brainer because I’m really not comfortable having my information out there. When you buy a domain name, it gets registered in the Whois directory and it shows all the personal information of the person who bought the domain, right down to address and email. If you don’t care about that then you don’t need to add it, but I added it onto my plan for privacy and peace of mind. Additionally, if you choose Siteground they offer a free site transfer. They transferred all my blog posts over from my WordPress.com blog to my new website in less than 24 hours. They are that good. Siteground also installed the WordPress.org platform for me! As a newbie, all this information was confusing to me so I was extremely grateful for them handling this part of the process. Their customer service is excellent and they will walk you through anything you may need help with! This is a very important step! This will create your entire brand for your blog so think carefully about what you want to name it and what your domain name will be. It’s highly recommended to keep it simple and not too long. You can do something catchy and creative that pertains to your niche or you can simply go with your own name. Try not to use overly creative/strange spellings for your domain name because it will make it harder for your readers to remember your domain. Use keywords that relate to your niche and make the domain memorable. 1. What is my blog going to be about? I love using names for domains because it does not limit your content if you ever decide you want to go in another direction. It also helps build yourself as your brand, but that doesn’t always need to be the case when choosing a name. There are so many successful blogs out there with creative and fun names! You can definitely pick a name that directly speaks to your readers about what the blog is about. I would avoid using long names or ones that have difficult spellings or numbers. When you do think of a domain name, make sure to act quickly because domain names are bought every single day. If you wait too long, your perfect name could be gone from one day to the next. Make sure to do research to see if there is any competition with the name you are thinking about choosing. I also recommend sticking to .com’s. They are the most popular and memorable. You don’t want your readers to type in your domain name and add the .com and end up on your competition’s website instead! You could lose traffic by choosing something other than .com unless the domain is extremely unique and memorable. If a .com is not available, try to think of another name if you can. If you’re absolutely in love with the name you picked and a .com isn’t available, then try .co. That one is pretty popular too! This is how it looks when you choose your domain name on Siteground. You select “Register a New Domain” and type in the one you want. How much is a domain? It costs about $14.95 to register your domain with Siteground. You do not have to purchase your domain from the same place you get your hosting. I chose to do that because it makes it much simpler for me to have everything all in one place. Another great place you can look for domain names is NameCheap.com. They have many domains to choose from at inexpensive prices. It’s a good idea to shop around before buying the domain name to make sure you get the best deal. Lastly, after you have a platform, host, and domain name – you need to design your website! You can do this for free or you can pay for a design for your website. If you chose WordPress for your platform, you will have access to thousands of free and premium themes for your blog. All you have to do is download and install them with little to no coding experience. You can also get your theme from Creative Market, Etsy, ThemeForest, and many more. I purchased my theme from Pipdig! There are many great free themes on WordPress so do not think you have to spend an arm and a leg to have a beautiful blog design! Once you’ve chosen a theme, you can create a logo for your website by heading over to Canva! Canva is a free website that allows you to design social media images, logos, and blog graphics. This resource is a huge lifesaver for me. 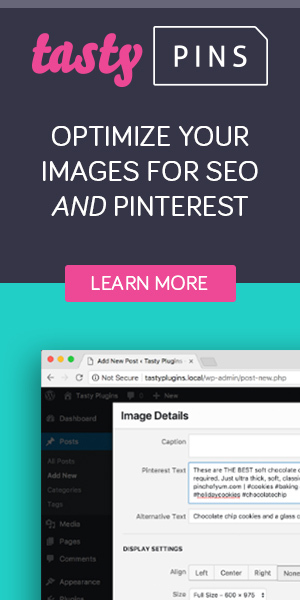 It not only great for creating logos, but also images optimized for Pinterest, Facebook, and Instagram. Success! You’ve officially gone through all the steps of creating a blog and you’re ready to roll.